It’s official: I’m hooked on Gilmore Girls and have been for a few months now. I started watching it with one of my friends over the summer and I honestly cannot believe that I didn’t watch it sooner. Not only is a heart-warming, feel-good show that leaves you feeling warm and fuzzy inside, but I love how I can relate with Rory Gilmore so much. I’m only in the middle of the first season at the moment, but I’m confident that this show will get even better with time. 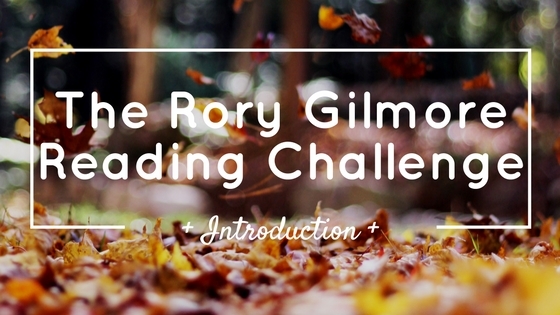 Recently I came across the Rory Gilmore Reading Challenge, and I simply cannot resist joining in! Essentially, many bookish fans of Gilmore Girls have challenged themselves to read all 339 texts mentioned throughout this show’s seven seasons. While I’m not going to challenge myself to read all of the works on this list, I thought it would be fun to see how many I’ve ready already. In total I’ve read 54 of the texts mentioned in Gilmore Girls. I think that’s pretty good, especially since this list includes some rather random titles. I love this list because it’s so eclectic; for instance, it contains both Walt Disney’s Bambi and Leo Tolstoy’s War and Peace. Where else can you get that kind of variety? Though I won’t be intentionally setting out to complete this list, I think it would be fun to keep tabs on my progress. I’ll probably do a little update every few months or so to see if I’ve made any dents in this Rory-inspired TBR. I wonder how many hours it took Rory to read all of these books? Are you a Gilmore Girls fan? How many of these books have you read? Any that you highly recommend? Let me know in the comments section below! Thanks! It seems like it will be a lot of fun! I’ve heard lots about Gilmore Girls and really want to watch it. Maybe when I have time/ can find it somewhere I will. It’s cool that the main character is such a prolific reader, and you’ve read some of the same books! I’m not very far into watching Gilmore Girls, but I’m already hooked! It’s such a warm and fuzzy kind of show– perfect for watching when you’re stressed or just need to relax. The fact that Rory is an avid reader makes it even better! Congratulations with reading so many of the books listed. It is a serious reading challenge. I love the Gilmore girls and whenever I get the house to myself (usually a Friday night) I sit down and watch and episode or two. I probably won’t do the challenge because there are too many classics for me, but I might do like you and see how many I tackled! 🙂 Great post! Oh wow, this is quite the list! While I haven’t watched the show earlier because it didn’t seem interesting, I’m certainly curious now. Gilmore girls is my favorite show! Phew, that’s a lotta books! What a huge challenge! But sounds fun! These are books I need to read… so I may join up! I started this forever ago and its been so hard working my way through it, especially because the list I found included Jess’ book and I’m like, how the hell am I supposed to read that!? I love the rory gilmore challenge as well! I “unofficially” check books off the list when I finish one. It’s one of my favorite lists out there because of its variety. Currently on season 3 and I’m obsessed. And it’s fun to see all the books together, especially as I’m always pausing to see what book she is holding. You have read more of them than I have.